There are more than 2,600 Polish companies operating in the food processing sector, producing goods valued at over $64 billion. This value has been on the rise making it the largest agriculture and processed foods industry in Central and Eastern Europe – and also 7th largest in the European Union. The agri-food industries combined is responsible for 7% of Poland’s $475 billion GDP. The growth and maturity of Polish food sector has enabled the players to expand to other regions beyond Europe, with a keen interest in unexplored market in Africa. 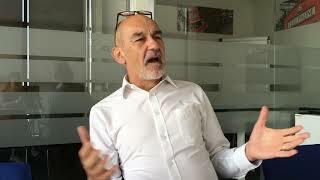 According to Michael Mazurewicz, the Managing Director of the Nairobi office of the Polish Investment and Trade Agency, Polish food industry has been on an expansion scheme in East Africa with Kenya being the entry point. “Poland underwent a period of reforming its food industry through high level investment in industrialization and quality standards in order to meet a stringent quality requirement by the European market. This has continuously been improved making Poland one of the best country in food processing in the world,” he notes. Mazurewicz notes that as the Polish companies expand into Africa, the essence for quality has remained. He says research and development of the food industry in Poland has also been led by a strong contingent of food scientists- one of the highest in Europe- with big multinationals setting up factories in Poland. He notes that Kenya, despite it facing serious challenges in terms of quality and standards, has a huge potential of becoming a food hub for East and Central Africa due to its nascent industry which is ready to move to the next level. Nairobi hosts the Africa Dairy Conference organized by the The Eastern and Southern Africa Dairy Association (ESADA). The conference and trade fair brings over 150 companies to exhibit as well as hold trade conversation with players drawn from Africa as well as the rest of the world. It is during this fair that two companies from Poland have set base in order to make inroads into East Africa. JAR Flavor House and SMF Technology Poland will be present at the event. Antoni Jaskulski, a board member of JAR Flavor House notes that he feels the dairy conference offers his company a chance to interact with key players from the dairy industry in the region as well as establish business links with users of both natural and other flavors in the food industry. The company is a producer of premium quality food flavorings with its products spectrum spanning across dairy, ice-cream, confectionery, bakery, sports nutrition, tobacco and shisha industries. The company specializes in sweet and fruity flavors with a portfolio of around 500 fin both liquid and powder form. It has clients in Europe, Middle East and North and South Africa and is now gradually expanding its operations into East Africa. “East Africa is interesting to us as a company due to being easier to do business here in comparison to West Africa for example, as well as the capacity and willingness to conduct business for a foreign company,” adds Jaskulski. The company will be hoping the Africa Dairy Conference will provide a platform where he can interact with players in the sector who can build a successive distribution model for his flavors for the region.